World Bank Agreed That Arguments Against Dams In Selenge Basin Are Valid. 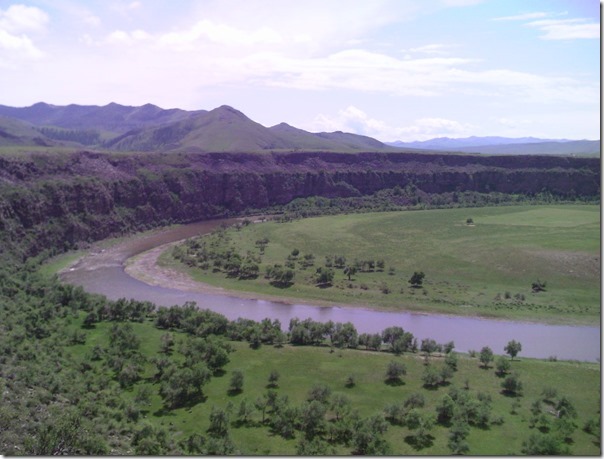 -World Heritage Committee Requested Environmental Assessments – Will Mongolia listen? Lying in the heart of Siberia Lake Baikal fed by Selenge River is the oldest freshwater depository on Earth containing 20% of drinkable water of the planet. It is also most unique depository of freshwater biodiversity. Boreal lake contains 2500 species of organisms known to date, with new creatures discovered annually, diversity unknown in most tropical lakes. Largely isolated during last 20 million years of its existence Baikal ecosystem has enormous number of endemic species – every other organism is found nowhere else on Earth. So no surprise that Baikal was inscribed on the World Heritage List and protected by a special "Law on the Lake Baikal" – unique case in Russian legislation. This law, of course, has no power over what is happening in more than a half of Lake’s watershed situated in Mongolia. However, Baikal is not only a natural lake but also a hydropower reservoir and that has profound influence on its management. 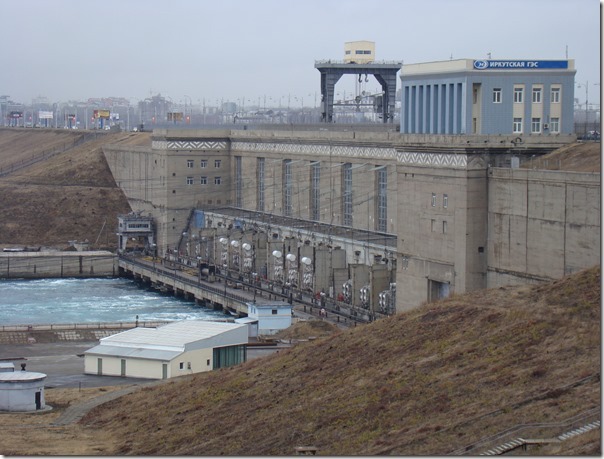 Irkutsk Hydro Power Plant on out-flowing Angara river was built in 1960 and has had most profound negative effect on the Lake. The integrity of the lake ecosystem was severely damaged by raising and artificial regulation of water levels that ruin natural cycles. 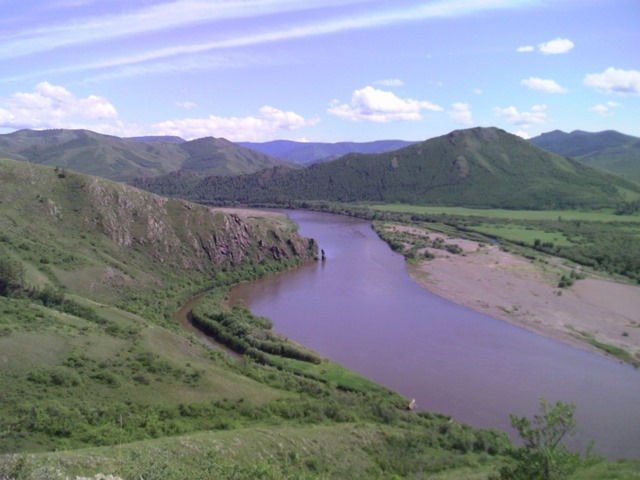 This has led to increase in erosion, losses in endemic and economically important fish, degradation of unique coastal ecosystems and historic relics, damage to coastal property of local people, conflicts between Buryatia Republic that receives most of negative impacts and Irkutsk Province where the dam is located. To prevent greater damage in the future, the limitation of allowable water-level change since 2001 were explicitly prescribed by the Government, but it did not address unnatural timing and frequency of fluctuations and was hardly possible to comply-to in years of flood or extreme drought. Unless amended the current water management regulations will result in increase of negative environmental impacts on lake ecosystem, food chains, and even to ecological integrity of waterbirds habitats in Selenga River Delta. But the trick is that dam owner, EvroSibEnergo Company, also wants regulation to be amended to allow for greater electricity generation. These two amendment-related wishes are often antithetical. In 2000-15 Baikal was influenced by prolonged drought in Mongolia, where average air temperatures increased 2 centigrade over last 60 years – twice the global average. In 2014 the main water source -Selenge River brought only half of water volume it normally should have supplied to the lake. In the very first days of 2015, Russia’s Minister of Natural Resources officially declared Baikal an emergency zone and authorized a quick drop in its water level below limits prescribed by the Government. 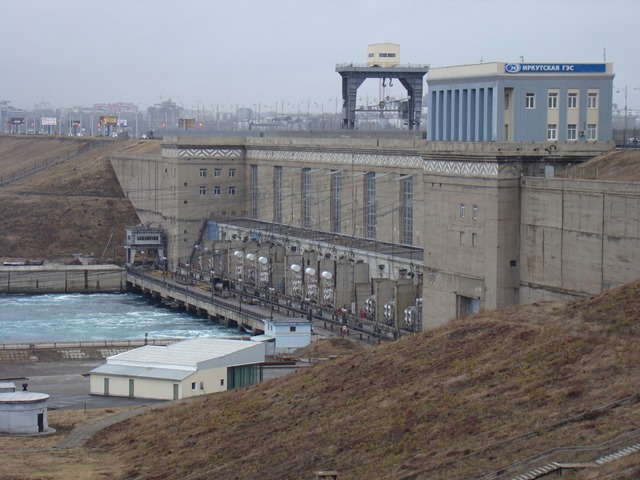 Threat to public water supply along on Angara River was named as official reason for this extraordinary measure, but hydropower company gained most benefits from this action. By late May, the lake’s water level fell to 14 cm lower than the designated critical level. Precipitation in the Baikal basin fluctuates in a cycle that spans several decades, however such a period of water shortage has not been seen for 100 years. A special Interagency Group to Study Baikal Water Regime was established by the Government, but on its first meeting in May 2015 many members stated that there is no way to develop long-term water management plan, because of unknown impacts from hydropower development program in upstream Mongolia. 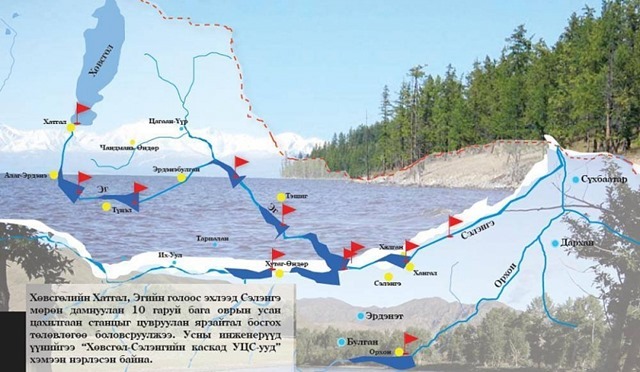 Large hydro planned there not only threatens integrity of aquatic ecosystems, but also prevents Russian agencies from any reliable water management planning due to multiple uncertainties it creates for timing and quantity of Baikal Lake inflow. About 25 potential dams were planned in Mongolia’s Selenge basin by Soviet engineers, and the biggest of them all in the Egiin Gol Hydro 220 MW was planned on the third largest river in the Mongolia’s part of Baikal basin. In 2012-2014 Egiin Gol Hydro design was enlarged to 315 MW hydro with 100-meter dam and greater potential environmental impacts. 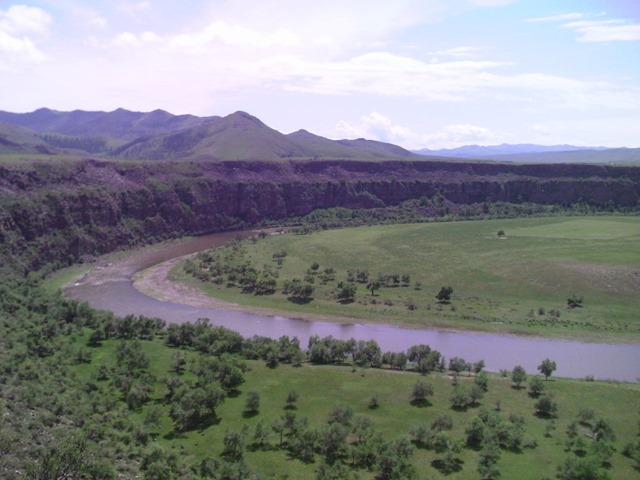 At the same time the World Bank MINIS project, initially focused on infrastructure to support mining, started exploring feasibility of two more hydropower plans, one of them Shuren Hydro on the Selenge river main channel, and another on its major tributary- Orkhon river with an industrial water transfer to Gobi Desert. Doing so the World Bank is backing up the Mongolian government to advance a controversial plan to develop large-scale hydropower cascades on its water-deficient rivers. Ill-conceived hydropower projects are economically undesirable and pose multiple social and ecological risks in the water-scarce Mongolia, where wind and solar energy resources are thousand times more abundant than hydropower. By now 2 to 3 more hydropower projects are being actively planned in the Selenge River Basin. 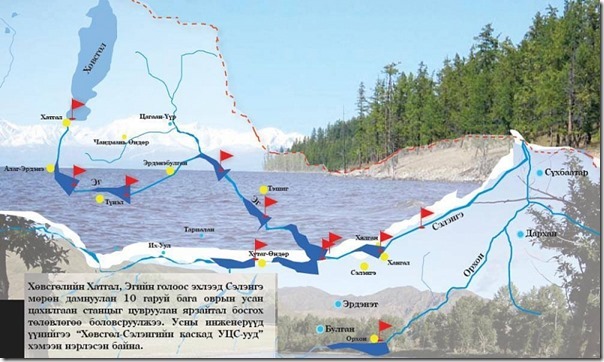 Massive hydropower development is likely to result in irreversible environmental impacts on the Selenge River Basin and Lake Baikal and significant socio-economic impacts on the communities who depend upon these resources. By disruption to the river flow, changing natural seasonal rhythms, reduction in flow volumes in dry periods and blocking of flow of sediments these dams will bring about degradation of critical habitats, including river floodplains and Selenge Delta Ramsar wetland of international importance and the Lake Baikal UNESCO World Heritage Site. There is also a concern for endemic Baikal Sturgeon listed as endangered under the Convention on Migratory Species and other valuable fish. Disrupting ecosystem services such as Selenge River fish population will increase competition for people who depend upon the fish stock for their livelihoods. Improper handling of these concerns by Mongolian Government and the World Bank made the Rivers without Boundaries Coalition and Greenpeace to assist local citizens of Mongolia and Russia in submitting in February a compliant to the Inspection Panel of the World Bank and a field mission of the Panel to the region was undertaken in May to determine the complaint’s eligibility for full investigation. (WBIP 2015). On July 2, 2015 the Panel submitted its Report and Recommendation to the Board of Executive Directors. The Panel decided to defer its recommendation as to whether or not an investigation into the Bank’s actions or omissions is warranted. The Panel will make this Recommendation within one years’ time, and after assessing the progress, scope and coverage of the feasibility and Environmental and Social Impact Studies, as well as a determination regarding the quality of the consultation process at that time. Since no objections came from WB Board members, on July 28 this Evaluation Report became automatically approved by the Board. What does it practically mean and why it is close to the best possible decision for now? d) If within next 12 months the Project continues to violate relevant rules\policies\requirements the Inspection Panel may decide to start full investigation. What were the possible options besides such a deferral? II) WBIP could start investigation, but extremely inefficient WB policies would limit such investigation only to last 5 months of 4-year old MINIS project, that actually has only 14 months before completion. According to WB rules whatever happens before the "project phase" (practically construction) has no "material consequences" and therefore cannot be subject to investigation. In some cases, as happened with Mongolia’s dams, the WBIP can argue that feasibility studies directly lead to investment into dangerous projects. Otherwise whatever damaging planning and policy-making WB supports in the name of "Poverty Alleviation" -all these subversive activities with far-reaching consequences are "immaterial" and cannot be investigated by its own watchdog agency. Therefore MINIS trickery with selection of hydropower as "most efficient" energy source in water deficient Mongolia that has best solar resources in North Eurasia is almost out of reach of investigators. That is why deferral of investigation with tight monitoring during 12 months is likely the best available tool that could be used in Selenge dam case. Hopefully it will allow conservationists to develop greater influence on MINIS Project and eventually to convince the WB to recognize dams in Selenge Basin as non-feasible. WBIP compliant process took almost 6 months and one more important investigation on the Mongolian hydropower plans culminated 4 weeks prior to WB decision. Baikal – is World Heritage not a battery! In July 2015 World Heritage Committee (WHC) session discussed hydropower and Lake Baikal: including both threat to the Lake by unnatural regulation of water level by existing Irkutsk Hydro in Russia and by planned hydropower cascade in the basin of its main tributary Selenge River in Mongolia. After heated debate the World Heritage Committee presented a draft decision that requested that Mongolia should not approve any of the dam projects until the individual dam EIAs for 3 dams and assessment of cumulative impacts have been completed and reviewed by the World Heritage Center and IUCN. WHC also requested that Russia reports on ecological consequences of water management in Baikal Lake in conjunction with existing hydropower plant in Irkutsk. More than that WHC "invited Russian Federation and Mongolia to … jointly develop a Strategic Environmental Assessment for any future hydropower and water management projects which could potentially affect the property, taking into account any existing and planned projects on the territory of both countries". Trying to soften decision Mongolia representative argued that dam-building is the best way to combat climate change, that the EIA for the Egiin Gol Hydro done by Tractebell\GDF-Suez concluded that no hydrological and ecological impact on Baikal are possible under normal operation, and that cumulative impact assessment (CIA) requirement is redundant for it is normal part of SEA, etc. Luckily I was allowed to speak right after Mongolia and remind the WHC that lack of decisive action on their side could likely lead directly to "Lake Turkana" scenario. I said that RwB Coalition supports draft prepared after the IUCN mission, and sees cumulative impact assessment as most important. Since Mongolia already decided to get loans from international sources to start Egiin Gol dam construction, RwB would recommend that the Committee should ask international finance agencies to abstain from funding the dams until results of the assessments are seen by WHC "..so that all good decisions are not in vain and you do not see dam construction started by next meeting of the WHC ". The decision was passed by WHC with insignificant amendments. This means that WHC did not add call for international finance agencies, proposed by RwB, but after such pointed and comprehensive decision NGOs themselves can urge relevant actors to comply. 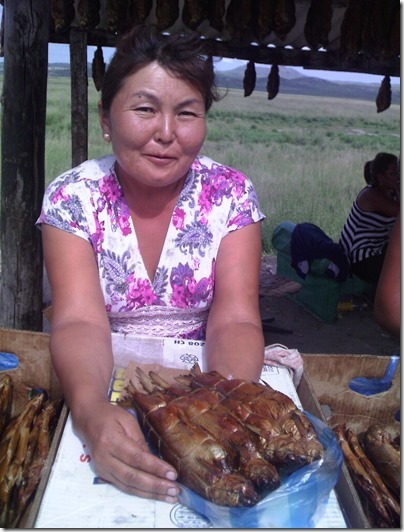 Now after both WBIP and WHC issued explicit requirements binding for the Government of Mongolia and WB Management, civil society has better chances to influence dam planning efforts to prevent causing harm to Lake Baikal and Selenge River ecosystems. It crucially important that world-wide conservation movement wakes up and prevents hydropower investors to do with Lake Baikal what is being done now with Lake Turkana.